I’ve never made fluffy pancakes before. They have always turned out kind of solid-like so I’ve always kind of shied away from making them. This weekend, I decided to give it another shot with a “healthier” version of a pancake. 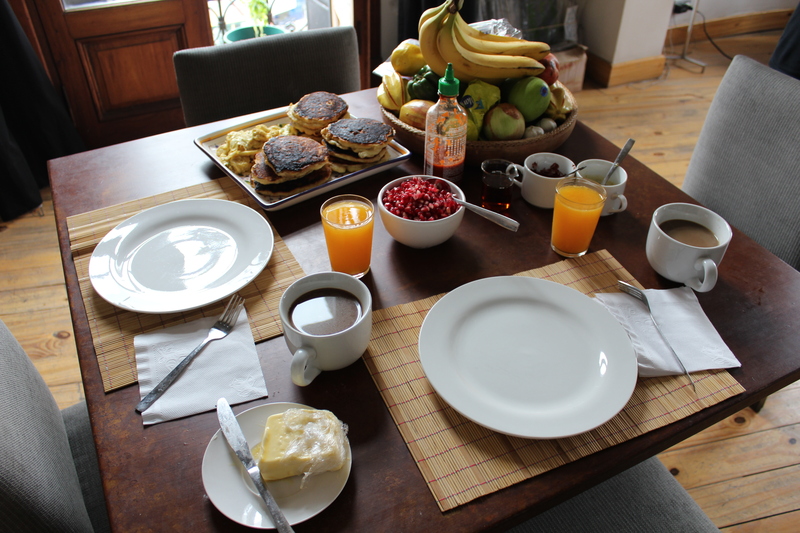 I used this recipe for oatmeal yogurt pancakes from the food blog Damn Delicious. We didn’t have blueberries, so no blue berries. And I used a thick Labneh instead of greek yogurt. It’s basically the same thing, maybe more cream cheesy tasting. I also added some vanilla extract. The key is, which I’m sure most people know, you can’t stir it too much. If you try to make the batter uniform, you’re going to lose what makes it light and fluffy. It’s like the pockets of the dry ingredients open up while baking and just create some air pocket fluffiness.